The W&OD Trail is a 45-mile paved trail stretching from just outside of Washington, D.C. to the suburbs in western Loudoun County, Va. Depends on how far you want to go. There's a thin strip of asphalt stretching from just outside of Washington, D.C. to Purcellville, Va., some 44.8 miles in length. 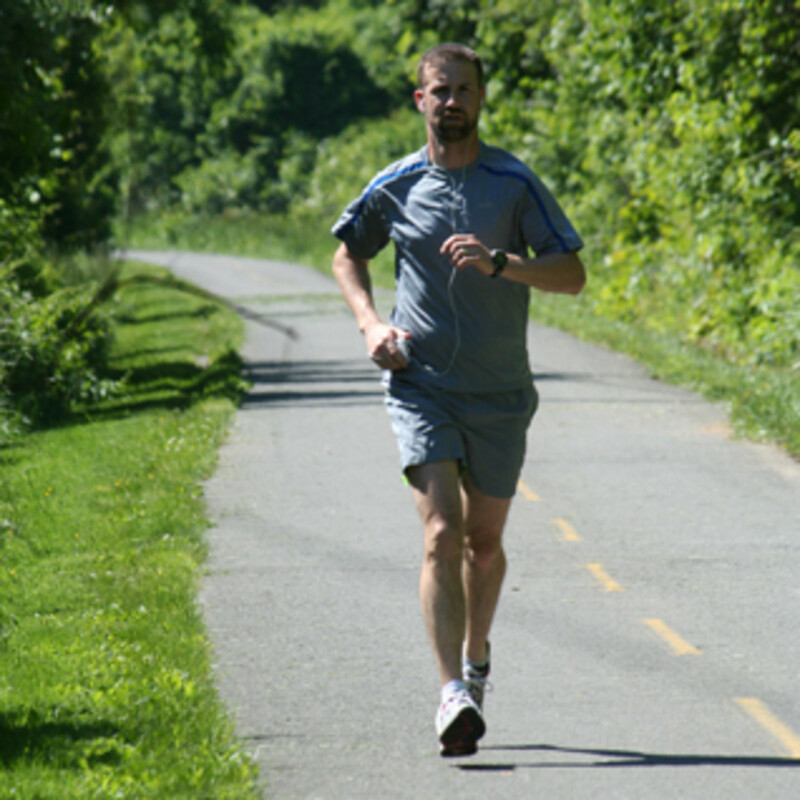 It has some undulations and serves as a perfect spot to put in some running miles. The W&OD Trail sits on the old Washington & Old Dominion train line. Much of it is lined with trees and, as you make your way west, farms and fields full of horses and other livestock. In other words, it's a pleasant place to do some running. There are dozens and dozens of points to jump onto the trail, which is divided into two lanes (eastbound and westbound). Runners heading out in a group can easily fit two across in each lane, although on busy weekend days you'll have to keep an eye out for cyclists whizzing past. The lowest point on the W&OD Trail, at mile 0, is 141 feet above sea level and the high point, occurring at mile 38.2, is 610 feet. Despite the small change in elevation, however, there are several points along the trail that feature some rolling features. Between mile 24 in Sterling and mile 32 in Leesburg, for example, are some up-and-down rollers that aren't big, but they're big enough for runners to feel. And from mile 32 out to the highest point on the trail at Clarks Gap, the trail gains 340 feet. Again, nothing like running in the mountains, but your legs will feel it. From the trailhead in Shirlington, close to the border of historic Alexandria, the trail rises 306 feet — continuously, save for a few respites — in the first 10.5 miles. That means you can get in a small amount of uphill work heading out before cruising back to your car where you started. The trail also has water fountains and shelters placed at strategic locations to allow for breaks along the way. And there are shops and stores not far off the trail at several segments, so if you need to fuel up you have some options. Runners looking to get in some base miles without having to navigate the hills west of Washington. 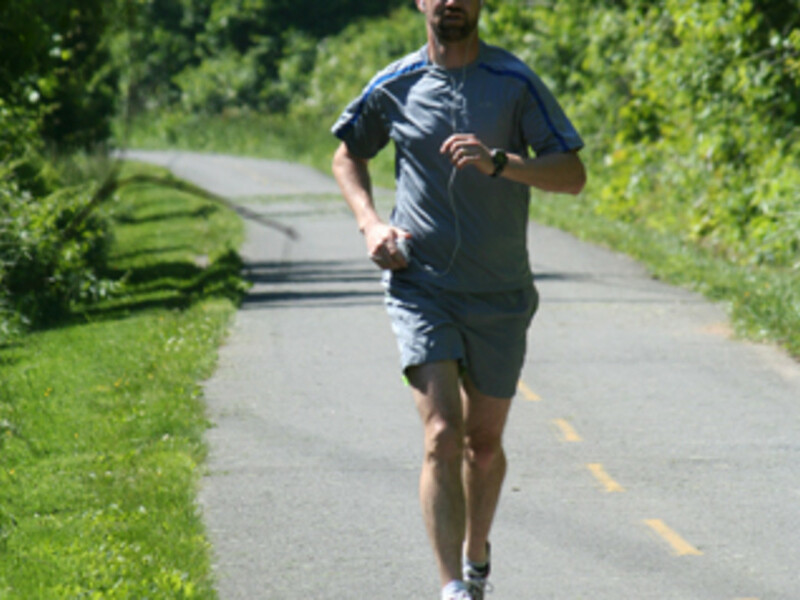 Everyone from 5-minute milers to new runners training for their first 5K can enjoy the benefits of the trail. There's also a gravel path that parallels much of the paved portion of the trail, so hop onto that if your knees and other joints need a break from pounding the pavement. If you're in D.C., either take one of the other local trails to the W&OD in Shirlington or drive your car and park in the lot off Wilson Boulevard at mile 4 in Arlington (there's only street parking at mile 0). The trail is easy to follow, so enjoy the scenery as you head west. If you live in the suburbs and want to run toward the nation's capital, there's parking at several points along the way, whether it's small lots or spots along the street.